When do babies start teething? When can they start chewing? These questions are common among new parents. Your baby achieves many exciting milestones in the first few months of life. The first tooth is among one of many. Many infants sail through the teething process with no problem, while others show multiple signs and symptoms. This timeline will answer all the questions you have regarding when do babies start teething. There is no exact answer to when do babies start teething as each child is unique. However, in most cases, you will notice the first signs of teething when the infant is 6 months old. The average timeline for the first tooth is between 4 to 7 months. By the time your toddler is 3 years old, all teeth would appear in a wide toothy grin. 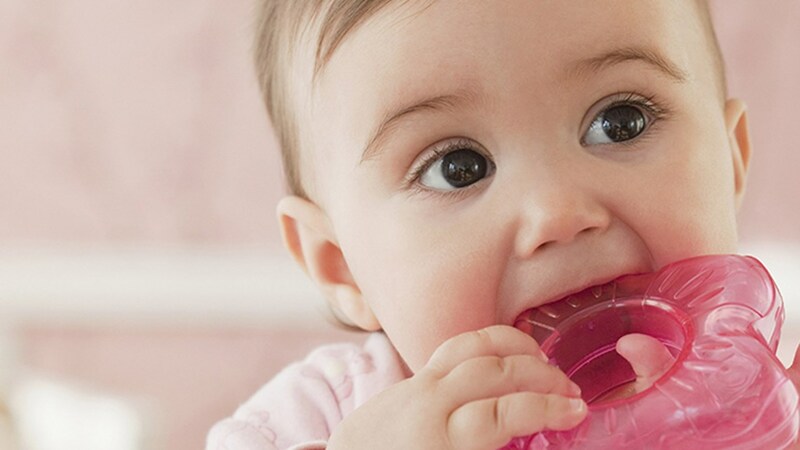 Teething can be a painful moment for both you and baby. You might wonder whether your child is cranky or grumpy because of the pain involved with teething or because of a slight tummy ache. It is important that you do not mistake every sign of sneeze, cough, and crankiness for teething. If you are looking for when do babies start teething, then a quicker answer would be to look at your baby’s mouth. The following are some signs and symptoms of infant teething. By the 6th month, your baby will start putting his or her fists in their mouth. You would notice that your infant begins rubbing their gums with their fists. This is your baby’s effort to relieve the pressure on gums. The answer to when do babies start teething will be different for each infant. Most babies show signs by as early as the 5th month through gnawing at everything and anything within range. Your child’s gums are irritated and by chewing on crib rails, toys, fists or clothes he or she is relieving the sensation. The exact reason for excessive drooling is not known. However, many experts believe that the teething period involves increased muscle movements that simulate chewing. This activates the salivary glands that cause drooling. Many children cannot handle the change happening in their jaw and gums. They lose their appetite and refuse to eat or drink. You might notice a rash around the mouth caused due to excessive drooling. The continuous wetness can lead to minor rash like symptoms around the mouth. This is a tricky symptom that might lead you to the question when do babies start teething. It is a fact that many infants experience a low-grade fever during teething due to gum inflammation. However, do not chalk it up to teething if your baby has a runny nose and a bout of diarrhea as well. This is probably the first symptom you would notice that will make you wonder ‘when do babies start teething’. Almost all infants become cranky and fussy when their teeth are sprouting. Your baby can show signs of teething as quickly as 3 months. In fact, in extremely rare cases some babies are born with a tooth already erupted. Teething timelines are different for each child. However, the rule of thumb here is that once your baby has the first tooth, you can expect four new teeth every 6 months. These first teeth are called milk or primary teeth. These will fall off when your child is between 6 to 12 years of age and be replaced by permanent adult teeth. In some cases, the first tooth comes out as late as 12 to 14 months. The symptoms and signs for teething crop up only a few days before the tooth pops out. The teeth development begins much before that. In fact, tooth buds form under the baby’s gum in the second trimester. It is important to note that teething is not a competition. You should not be worried even if your baby does not teeth by the 8th month. It is perfectly normal for many children to start showing the first signs of teething as late as 12 or 14 months. Here is the average teething schedule. It is possible that you would notice the first tooth to crop up during this time. The first teeth to come up are usually the front lower teeth. These are known as the central incisors. These teeth are thin with a knife-like edge and slide out easily. The next teeth to make an appearance would be the top central incisors. These teeth are same like lower central incisors and come out easily. You can even call this period 'the calm before the storm'. The lateral incisors are usually the next. These teeth are next to the central incisors on both top and bottom gum line. They are present on each side of the central incisors. The top lateral incisors come out before the bottom ones. Many parents see molar beginnings as their baby gets ready to turn one. Molars are more painful while coming out because they are fat, big and broad surfaced teeth. The first molars arrive before canines. Often, molars can be seen right below the gum surface in the form of bulging gums. Sometimes, there might be fluid buildup creating a blue colored cyst. You might get alarmed once the sac bursts, and the tooth comes forth. Your baby might get a mouth full of blood. However, it looks worse than it actually is and the situation often corrects itself once the tooth is out. This period is special for your baby as the canines make an appearance. These are the sharply pointed teeth between the molars and incisors. The second molars should make an appearance by now. Usually, after the second birthday, these second molars fill in any last gaps. Before your little one turns 3 years old, he or she will have a full set of 20 primary teeth. Teething is an exciting milestone in your child’s life. It is important that you do not worry excessively during this period. There are a number of measures you can take that will relieve the stress and make teething easier for your baby. 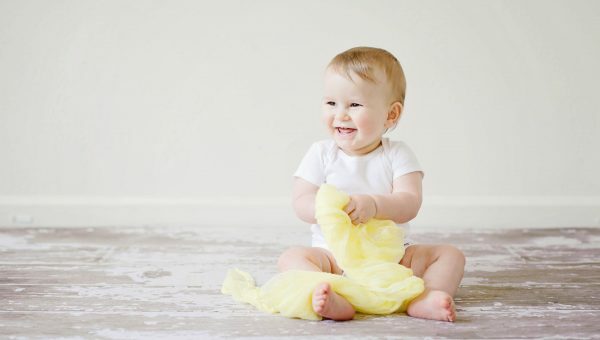 You should begin a regimen of cleaning and massaging your baby’s gum as soon as he or she is born. You should get in the habit of cleaning the mouth after every feed. You can do this by wrapping a soft piece of gauze cloth around your finger to rub the gum pads gently. This should clean out any leftover milk. You will be able to maintain healthy teeth for your baby if you continue this through the entire teething process. It will also make brushing teeth easier down the road as your child gets used to having something stuck in the mouth for cleaning. Massaging also helps in making teething less painful. The pressure on top of the gums with your massages counteracts the pressure from below the gums. It aids the teeth in breaking through the gum tissue easily. 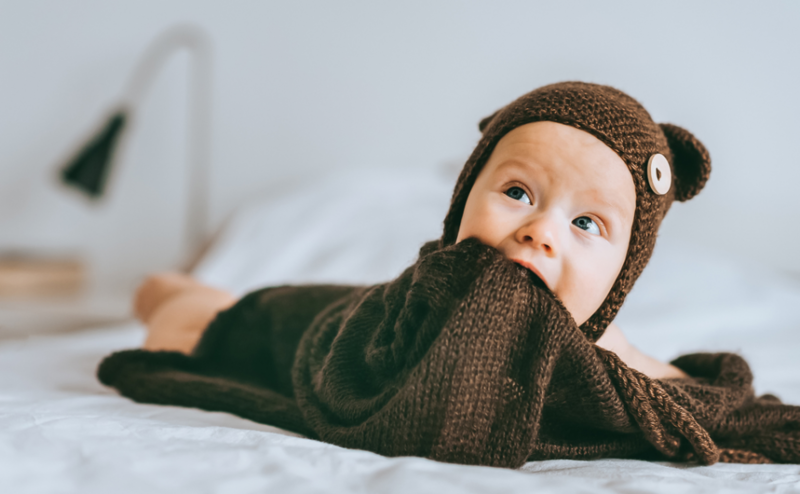 It is important that you do not let your toddler bite down on hard surfaces and toys as that might damage the incoming teeth. Your baby might suffer through many sleepless nights. 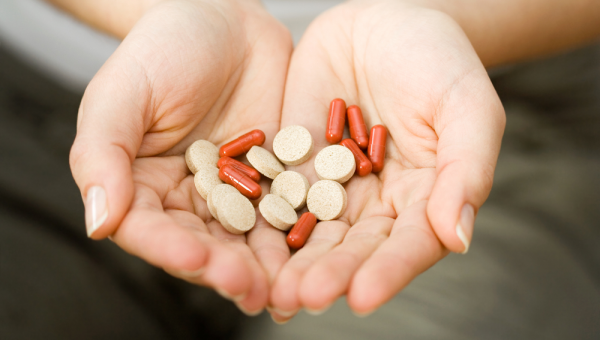 You can ease the pain by giving them a little infant Tylenol to help them sleep. It is important that you check with your pediatrician before this. Your baby is growing the first set of teeth and it is important that you ensure cleanliness to keep them healthy and strong. It is important that you take your baby for his or her first dental visit right after the 1st birthday. The dentist will check your baby’s teeth for early signs of tooth decay and will go over cleaning and feeding habits with you. Make sure you start brushing your infant’s teeth with tap water during the first year. 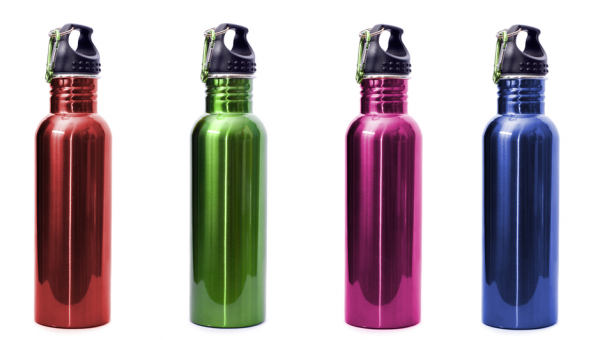 Bottled water does not contain fluoride which is important for developing teeth and bones. It is ok to wait until your child is 2 years of age before using pediatric toothpaste. Excess of fluoride can cause brown or white spots on new incoming teeth. You can avoid cavities by removing sip cups or milk bottles before your child goes to sleep. Many parents allow their babies to fall asleep with a milk bottle in mouth. This can cause a buildup in the back of the two front teeth. In fact, clean out the teeth before putting your baby to sleep after a feed. Babies can chew even without teeth. It is important that you pay attention to choking hazards in the first few months. It is also important that you try not to worry and enjoy every milestone in the growth and development of your baby.